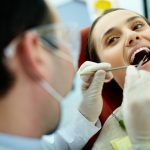 The British Dental Association has responded to new figures revealing the full scale of cuts to NHS dentistry in England, stating the approach is now fuelling an access crisis and undermining the government’s stated commitment to prevention. Parliamentary Questions raised by Peter Dowd MP have found the government’s spend per head of population on high street services has hit new lows. The equivalent of nearly £42 per head was set aside by government to cover dental care for every adult and child in England at the outset of the Coalition Government in 2010, falling by over £12 in real terms in 2017/18, a 29% fall. Dentist leaders have described current funding arrangements as cuts by stealth, accusing ministers of driving a ‘do more with less’ mentality to breaking point. Budgets have failed to keep pace with inflation and population growth of 3 million, and as state contributions have fallen, patients have been asked to contribute ever more through NHS charges. Recent BDA analysis of official data revealed over 1 million new patients tried and failed to secure an appointment last year. The Health Secretary Matt Hancock has received criticism for endorsing ‘affordable’ private alternatives to his own constituents, many of whom are currently unable to access local NHS services. “There can be no rose tinting the fact more than £12 has been taken away from the dental care of every man, woman and child in England since 2010. “These are cuts by stealth, and the public are paying for them through higher charges and longer waiting times. “We’ve heard fine speeches about investment and prevention, but for NHS dentists the reality of ‘do more with less’ is being stretched to breaking point. And patients across England are seeing the result.